Rummy is one of the most popular & charismatic card games played across the world. The game is usually played with 2 to 6 players. A standard deck containing 52 cards is used. Rummy games have permeated throughout the world and have branched out into different rummy versions. The objective of the Rummy game is to arrange the hand cards into proper sets and sequences with a minimum of one pure sequence. Since the advent of online gaming, the rummy game made its way to the digital world and had become an instant hit among card game enthusiasts. While in the yesteryear, the spread of the game was mainly due to word-of-mouth communication; Internet has made the job very easy now. Many rummy websites have sprung up and catapulted the game into the mainstream thereby gaining widespread recognition. Due to the extraordinary demand, most of the rummy sites host different types of rummy games and tournaments 24/7. As much as the fun factor, money also acts as the motivating factor behind players choosing online rummy. 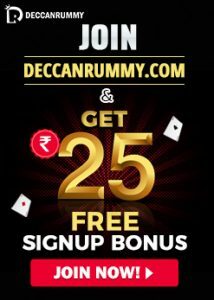 It all boils down to satisfying the entertainment quotient and most of all, an easy way to earn money.Deccan Rummy mobile will be the best rummy card game download that you’ve done undoubtedly. 13 cards Indian Rummy is also called as Paplu. This rummy version is extremely popular in India. The game is played with 2 decks of cards between 2 to 6 players and a random joker is selected. There are 2 exciting formats of this game – 13 card and 21 cards. The objective of this game is to arrange the hand cards into proper runs and sets. There are many numbers of rummy sites offering these two exciting variants. Players can simply choose the most reliable rummy site among them and start playing instantly. Many sites provide rummy tables with colorful designs that offer world class casino-styled experience making your rummy sessions memorable. 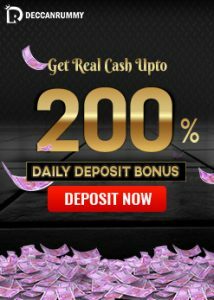 In addition to the entertainment factor, this format of the game also provides the golden opportunity to win real cash. Therefore, it is not surprising to see 100s of online rummy sites in India alone. Gin Rummy is another popular rummy version. The game is generally played by two players, with each receiving ten cards. This format of rummy is played more in European countries. With the advent of technology, players from any part of the world can play the game through online rummy sites. In Gin rummy, the cards are ranked from low to high; Ace is the smallest card and carries just 1 point. Jack, Queen, and King carry the highest points 10 points each. The rest of the number cards are worth their number value. K, Q, J cards carry 10 points each and the number cards are worth its numerical value. The objective is to meld a hand where most or all of the cards can be combined into sets and runs & the point value of the unmatched cards remain low. Rummy 500 is one another popular rummy version that is also called as pinochle rummy, Michigan rummy or 500 Rum. Rummy 500 can be played between 2 to 8 players, but played best between 3 to 5 players. The objective in Rummy 500 is to be the first player to gain 500 points through melds. Points are counted based on the melded combinations and deducted by the players’ deadwood. Shanghai Rummy is an interesting rummy version that is played by many card game enthusiasts around the world. 3-5 Players can play the game. 11 cards are dealt to each player. The game is set into a predetermined series of hands. Players’ goal in each hand must be to get rid of all their cards by collecting and laying down melds according to that hand’s assigned contract. 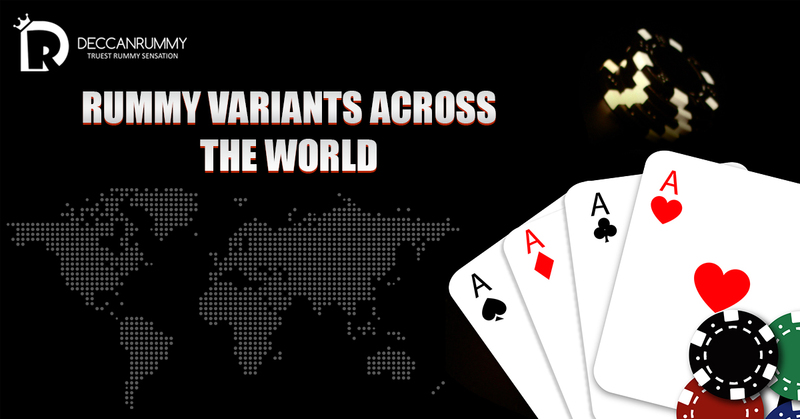 Because of the exciting nature of this variant, many rummy sites have started to offer them. Kalooki Rummy is another absorbing version of online rummy games that is played mainly in Jamaica. Interestingly, it is also referred as Jamaican Rummy because of its huge popularity there. Jamaican people play different versions of this game like Super Kalooki and Baby Kalooki. 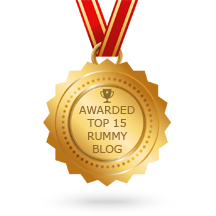 Some of the versions of online rummy mentioned here are not played in India. However, we can soon expect some of the versions to make the debut here as Indian players always love to experiment with card games. Playing rummy online has become extremely popular the world over. Different versions of the game have sprung up in the places where it showed up with the rules altered according to the local customs. All these rummy variants are exciting in their own way. Therefore in conclusion, it comes really as no surprise no other card game is as much loved as Rummy.